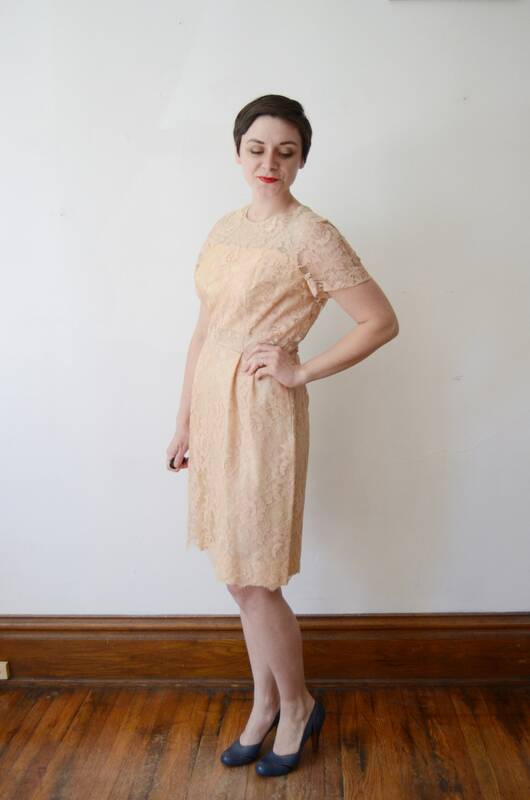 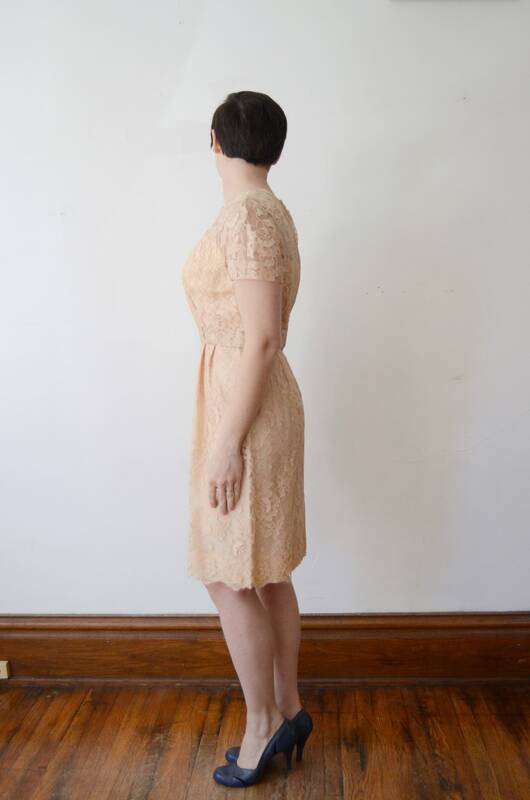 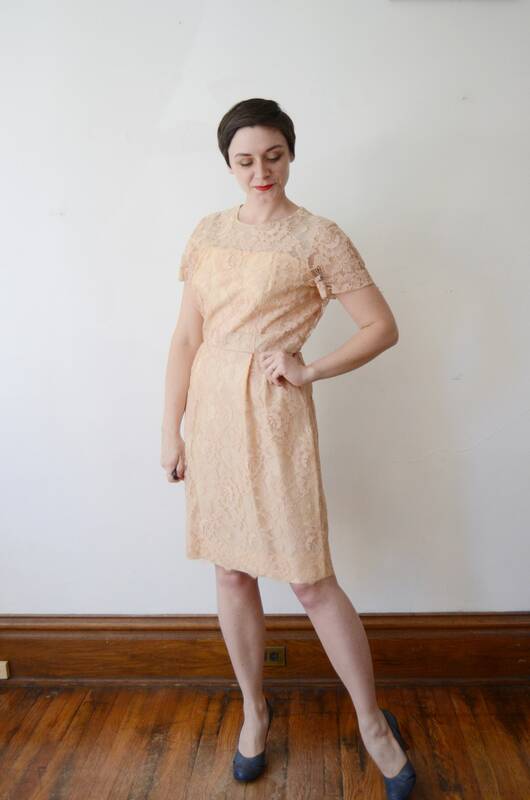 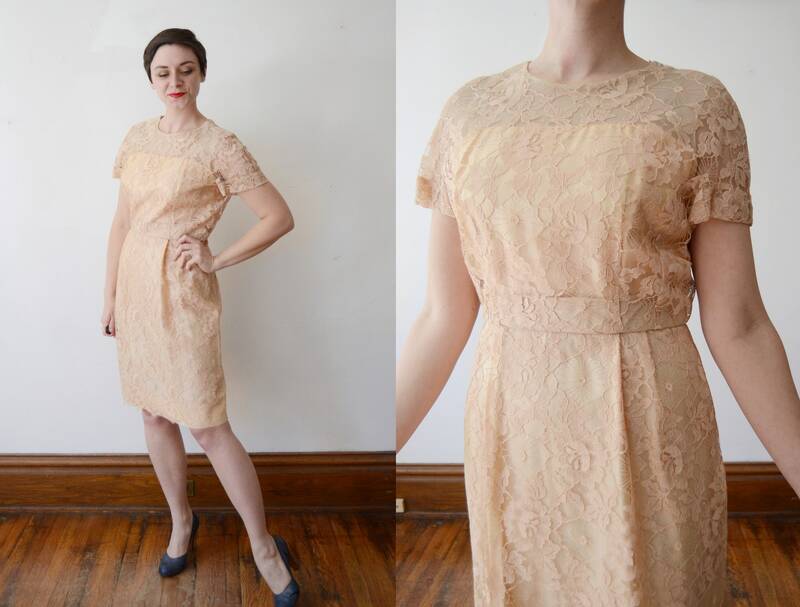 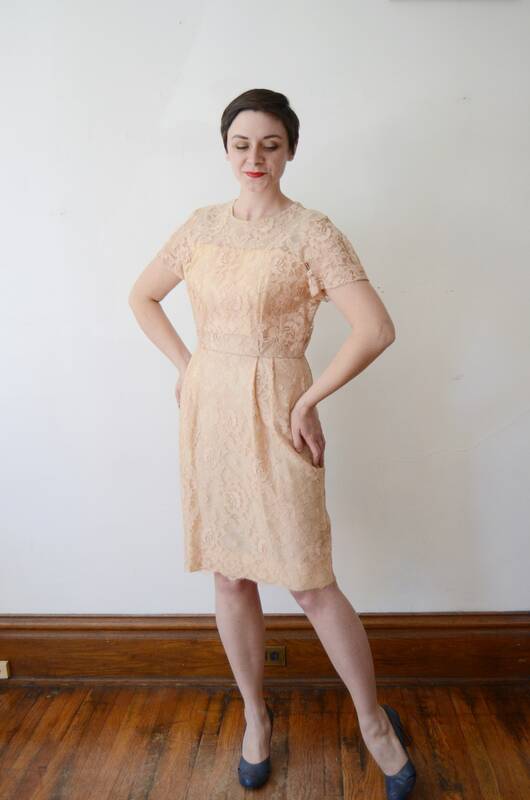 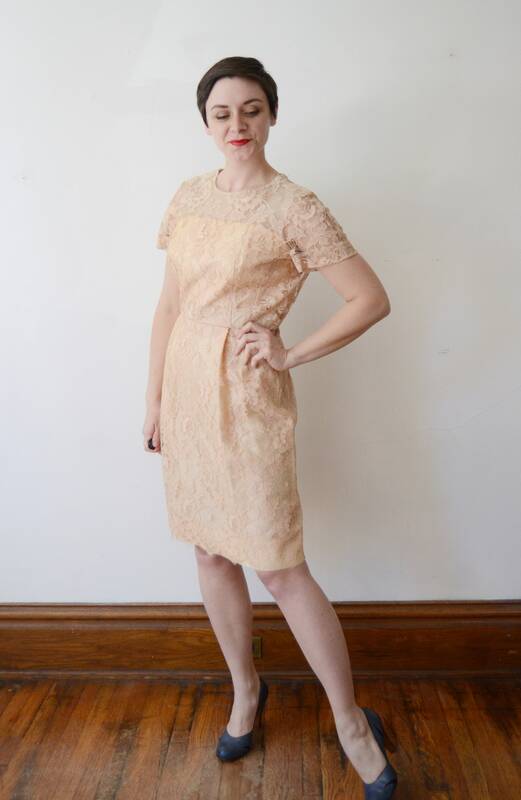 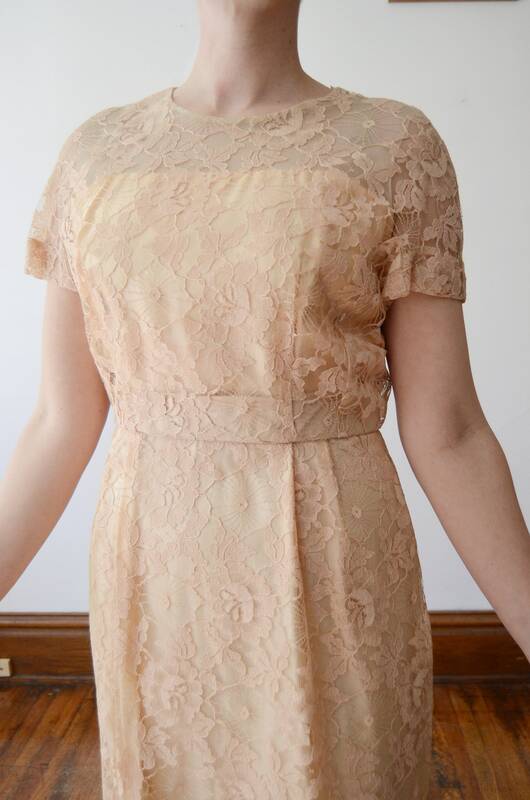 Description: A gorgeous pale peachy pink lace fitted cocktail dress with a back metal zipper, short sleeves, and scalloped hem. 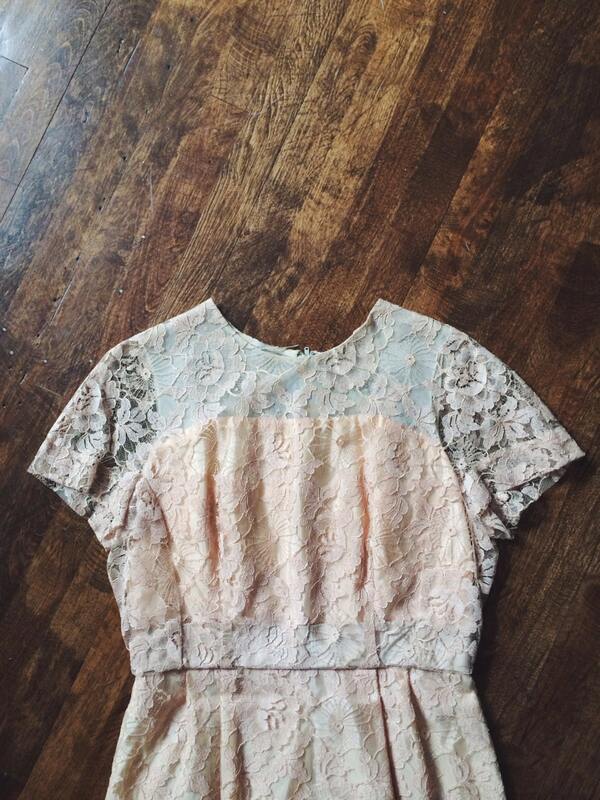 Lace has beautiful intricate spiderwebs in the design. 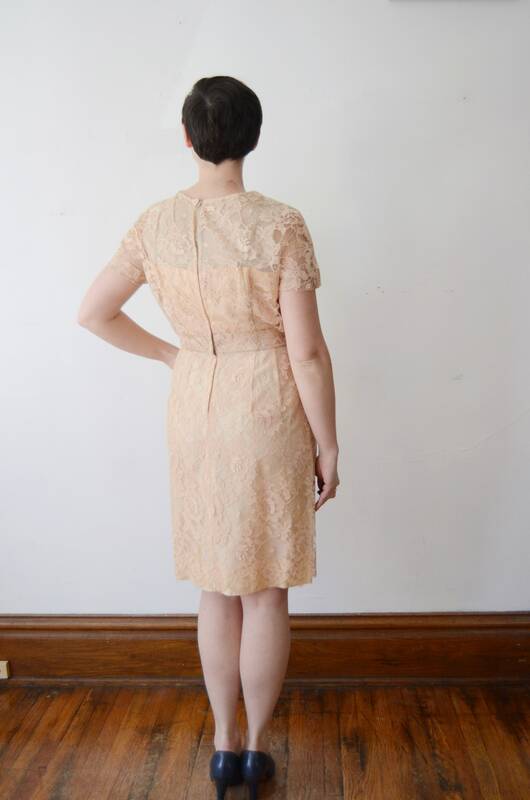 Fabric: Lace, with an acetate lining material underneath.